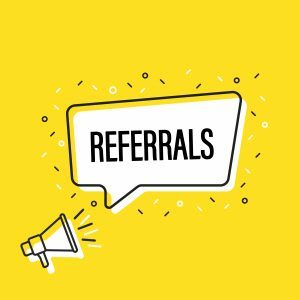 Venue Owners, Do You Receive Referral Fees? You spend the most to promote; paying for google ads, online directories, and taking booths in bridal shows. Tastings and open houses also help couples into your space. Your marketing costs you between $15,000-$40,000 annually depending no your budget. After the couples books your venue, you may be asked for referrals. The couple wonders who the best florist, DJ, and caterer is. Now all your advertising dollars are supporting other businesses that are not contributing to your marketing budget. Is this fair? Some venue owners believe other wedding pros are freeloading. How do you balance the scales without misleading your couples? Pay For A Booth In The Venue’s Open House: Any event costs money to produce. If you are receiving high grade leads that are pre-qualified it seems reasonable to help cover some of the event’s costs. Become A Commissioned Salesperson For Other Vendors: Let your nearly-weds know that you also sell packages for officiant, photography, and floral services. Ask them if they need help deciding on other pros. The preferred vendor would pay you a commission on all signed contracts instead of being sneaky and receiving a kickback your customers don’t know about. Conduct A Year-End review: If you offer package deals to your customers you have a clear understanding of how much they benefit with your relationship. At your year-end review you might find out that your preferred photographer makes $25,000 a year from your referrals. It’s good to know in dollars and cents the details. Trade Relationship: Some venues prefer to work in trades. The true value might be in updating your venue photos on your website, receiving fresh flowers weekly for your entryway, or offer passed appetizers for your open houses. How do you handle this tricky situation? Want to learn more, check out our Venue Specialty Landing Page. Like what you see, register with BL5259 for your discounted registration.